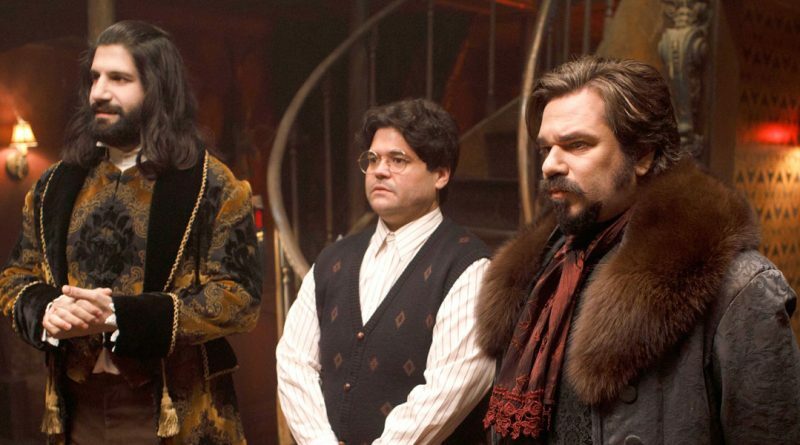 (From left) Kayvan Novak, Harvey Guillen and Matt Berry star in “What We Do in the Shadows,” premiering Wednesday on FX. Vampires have meant big business on television. Reaching back to “Dark Shadows” and progressing through “The Vampire Diaries” and “True Blood,” dwellers of the night have put their bite on popular shows. 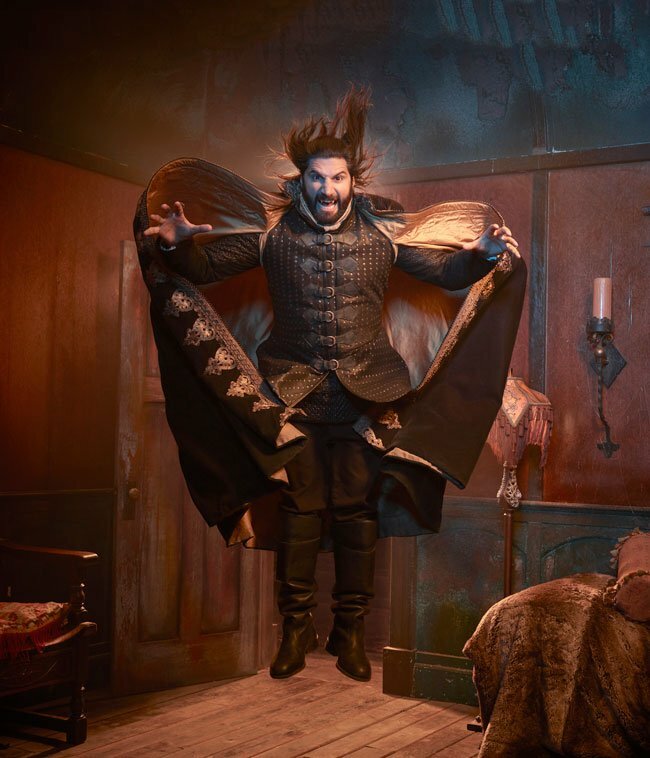 Now hoping for a similar effect is “What We Do in the Shadows,” FX’s take on a 2014 New Zealand “mockumentary” that premieres Wednesday, March 27. Jemaine Clement and Taika Waititi, the writers, directors and stars of the original movie, remain involved as executive producers and also in other ways: Clement (“Flight of the Conchords”) wrote the series pilot, which Waititi (“Thor: Ragnarok”) directed. The saga sees a film crew follow several longtime – as in hundreds of years – roommates in Staten Island, N.Y., where the vampires have individual aims while pursuing their shared mission of conquering the world. Kayvan Novak, Matt Berry, Nastasia Demetriou and Harvey Guillen play the horror-comedy’s central quartet, with Mark Proksch and Beanie Feldstein also among cast regulars.